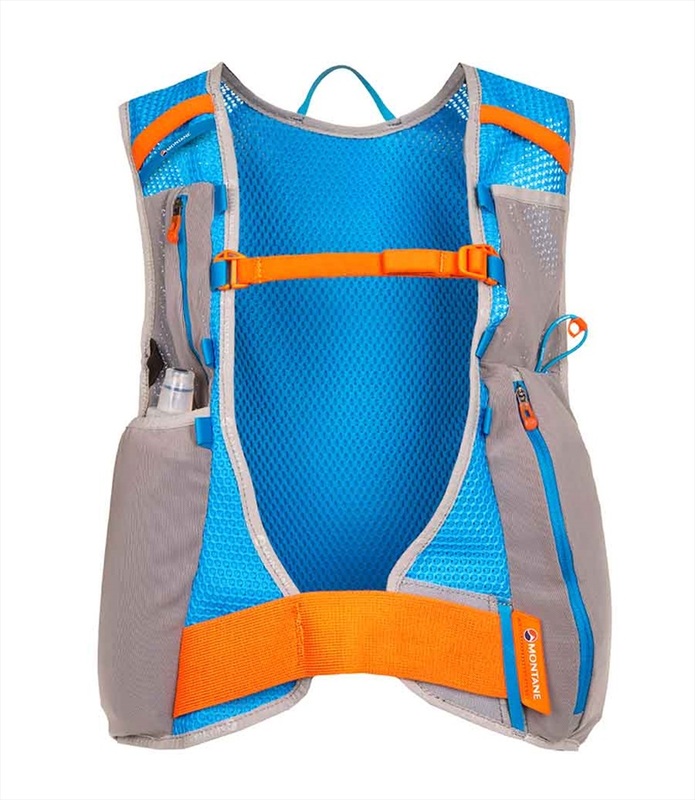 Featherweight Montane vest pack for long distance trail runs. 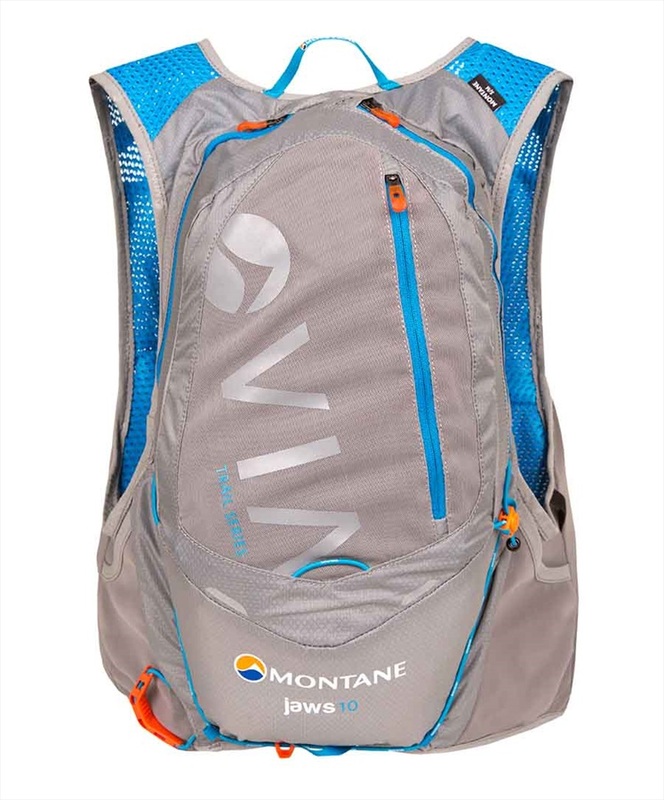 The Jaws 10 from Montane is designed to remove all weight from the lower back to allow for enhanced speed and agility with a super-light 10 litre capacity. 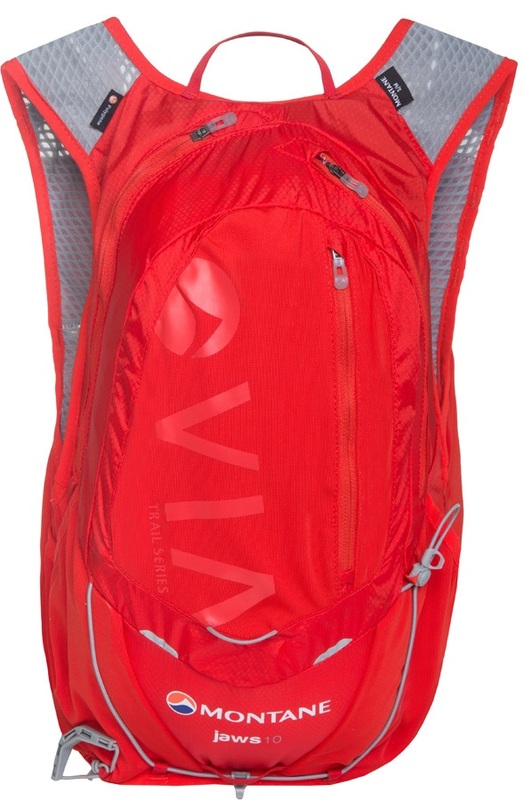 Ideal for long distance trail runs and other ultra events, this backpack offers body-hugging, load carrying-comfort and practical storage options. The main body is constructed from ultra tough, lightweight RAPTOR UL fabric which brings the weight of the pack down to an impressive 289g. The revolutionary, ergonomic Montane Freelight Chassis vest is technically tailored to provide ultimate support and comfort during dynamic movement over rough terrain and is constructed from fast drying, breathable CONTACT Flyte Mesh Air. With a low profile stretch harness across the chest and stretch hook and loop lower body adjustment to stabilise the pack, you'll barely notice the load on your back. Why carry weight when you can wear it? With 10 litre storage in the main compartment and a multitude of internal and external pockets, this running backpack can accommodate all the essential gear you need for runs of considerable distance. Pacer pole attachments can be found under the arms for easy, on-the-move access as well as a diagonal attachment across the main body. External bungee provides compression as well as additional storage. 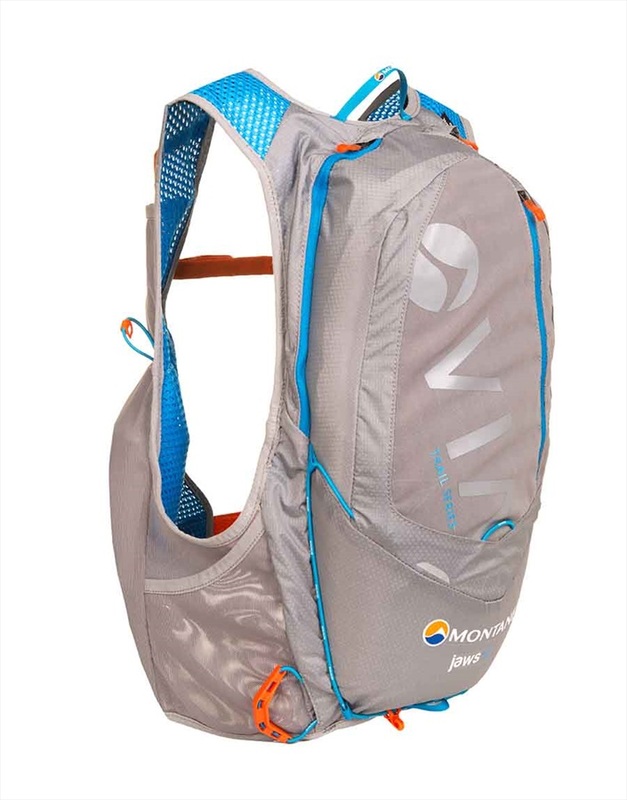 The Montane Jaws 10 trail running backpack is designed to provide you with a safe, supportive and comfortable way of load-carrying when running long distances over rough terrain. The featherweight, ergonomic design will allow you to go further faster, offering unrestricted movement and breathing and exceptional ventilation.